My June hosta has produced only one seed so far that had what looked like a viable bump. The seed germinated quickly and the little seedling thrived, but it was obvious from the beginning that this seedling was going to become a miniature hosta. Even now that it is two and a half years old, this little hosta is only about three and a quarter inches across, but it looks very sturdy and has a lot of leaves for its size. Although this photograph does not show it, the leaves have just a hint of a narrow dark blue edge. 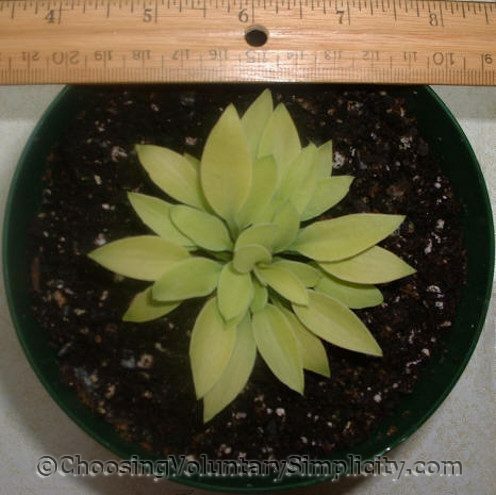 What a sweet little miniature hosta! I hope it stays small for you and continues to be as healthy. It’s really beautiful. I just wanted you to know that you have given me a whole new hobby of trying to hybridize hostas. I’m still very much in the beginner’s stage but I did pollinate a special hosta flower myself and planted the seeds. I have plans for another hybrid — this is so much fun and I wouldn’t even have known about it if I hadn’t read your blog. I LOVE your June seedling so much I am going to try and ‘birth’ one too! lol. 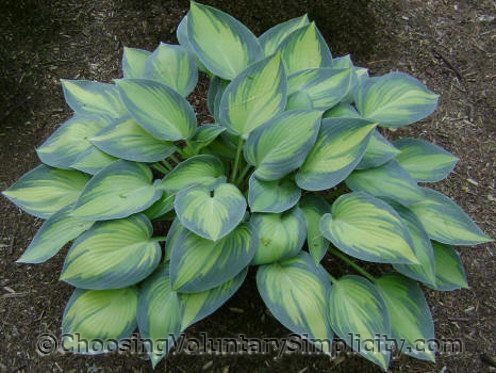 Your hostas are beautiful – no bug bites! I discovered your site only today and find your comments informative, thank you. Re two different Junes. 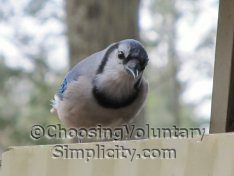 There is only one – they look different simply due to how much sun exposure they get. I have two-one in sun (more yellow)-shade one is bluish. Very lovely, either one. I am excited to try and achieve a mini seedling from it. I think you should name your seedling, get it registered, and sell them off to other June lovers. Again, thank you for your hosta information.